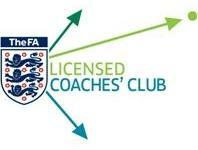 Anyone can attend this FALCC event, but only Level 1 & 2 coaches will gain CPD Hours for their FALCC Membership. These FALCC hours will count towards the 2018-19 season only (1st August 2018 - 31st June 2019). A new concept we are trying for the 2018-19 season is to assist coaches in behaviour management as a whole, incorporating parents, players and coaches as a whole and how we can improve behaviour within the game. In keeping with our commitment to keeping the game safe and in line with FA Safeguarding Policies if you are aged 18 or under you are required to supply the name and contact details of an adult next of kin or carer who will be included in any correspondence we may have with you. Oxfordshire FA are required to compile anonymous information on those individuals accessing its services and activities. Monitoring allows us to understand the makeup of those accessing our programmes and meet the needs of individuals if activities need adapting. When booking, learners are encouraged to respond to these questions about themselves, however, participation is entirely optional and you are not obliged to self declare your characteristics. The information we receive is only used for monitoring and statistical purposes and will remain anonymous. You are fully aware that photographs and footage may be taken by authorised OFA staff, and give your permission for this material to be used for promotional, marketing and internet purposes.